I’ve taken many of the concepts discussed on this site and compiled them into book form for handy reference. All of the titles are available directly from Amazon.com. Just click the cover thumbnail to be directed to Amazon’s purchase page. You can also purchase many of the books from the dealers listed at the bottom of this page. Model Railroading As Art: Model railroading offers the exciting opportunity to be approached in the same way as any other branch of the art world. As such, the same principles can be applied to elevate your modeling efforts to new levels. Follow along as we delve into scene composition, color treatment theory, weathering, backdrops, layout room preparation, photography, and more! Click HERE to order. 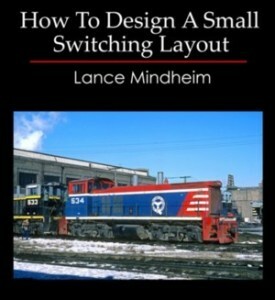 How to Design A Small Switching Layout: A step by step guide to designing the most versatile of all model railroad types. Learn how to: set priorities, pick the best bench work shape, design secondary track, establish scenery zones, choose the best industries, and more! Two bonus track plans included. Concepts can be applied to layouts of all sizes. 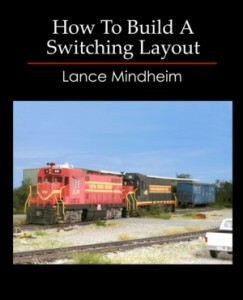 How To Build A Switching Layout: A prioritized, step by step, approach to building a switching layout with a powerful focus on the steps that create maximum visual impact. No step left out. Bench work, wiring, structures, scenery, details, and more! To view a YouTube trailer about the book click here. 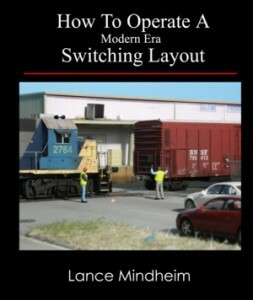 How to Operate A Modern Era Switching Layout: The title says it all. Everything you need to know to operate a modern era switching layout. How to set up an operating session, car movement strategies, job strategies, prototypical paperwork, prototype rules and procedures, and more! Bonus track plan an operations example included. 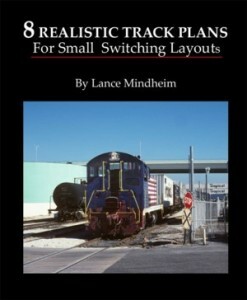 8 Track Plans For Small Switching Layouts: Eight, easy to follow, track plans for building small but fun model railroads that will fit in a typical spare bedroom. Each plan is designed to be visually inspiring, easy to build, and fun to operate. Included are a port railroad, modern era themes, and themes from the 1950’s. 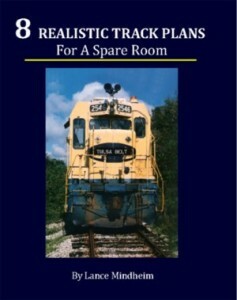 8 Realistic Track Plans For A Spare Room: Eight creative track plan ideas for your typical spare room. Each plan is designed to be easy to build, fun to operate, and visually inspiring. 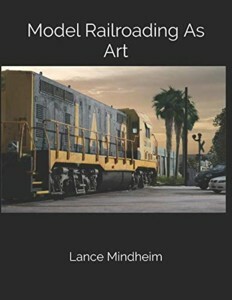 Explore themes such as a Milwaukee Road branch line, a Maine short line, an Appalachian coal branch, and the fictional Tulsa Belt. 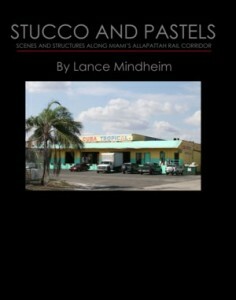 Stucco and Pastels: A photographic journey through a sliver of America’s Casablanca – Miami’s western river district, produce district, and Allapattah neighborhood. Tour faded pastel art deco structures surrounded by palms and live oaks, rail branches running through narrow, cracked streets, open air produce markets, and shipping channels reminiscent of a bygone era.